What!?! No patterned paper? How on earth can one create without patterned paper? 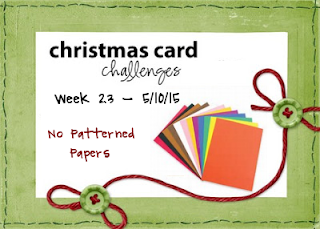 That's your next challenge here at Christmas Card Challenges. I know I find it a bit more difficult to leave the patterned papers alone but, as you see, a pretty card can be made without it. The presents stamp is from a set I got when I purchased a magazine. I stamped it on Whisper White card stock using Tuxedo Black Memento ink and colored it with Copic Markers. I used various shades of red and green. I am so going to miss that Pistachio Pudding when it retires next month. Silver ribbon and silver sequins finished it off. Now it's your turn. Show us how you create without using patterned paper. Stamp Sets: Christmas Bliss, Happy Holidays (unknown); Inks: Pistachio Pudding, Tuxedo Black Memento; Copic Markers: R27, YG11, YG13, YG17; Card Stock: Pistachio Pudding, Whisper White; Accessories & Tools: 1/8" Silver Ribbon, Frosted Sequins, Dimensionals, Multipurpose Liquid Glue, Paper Snips. All Stampin' Up!® unless otherwise noted. 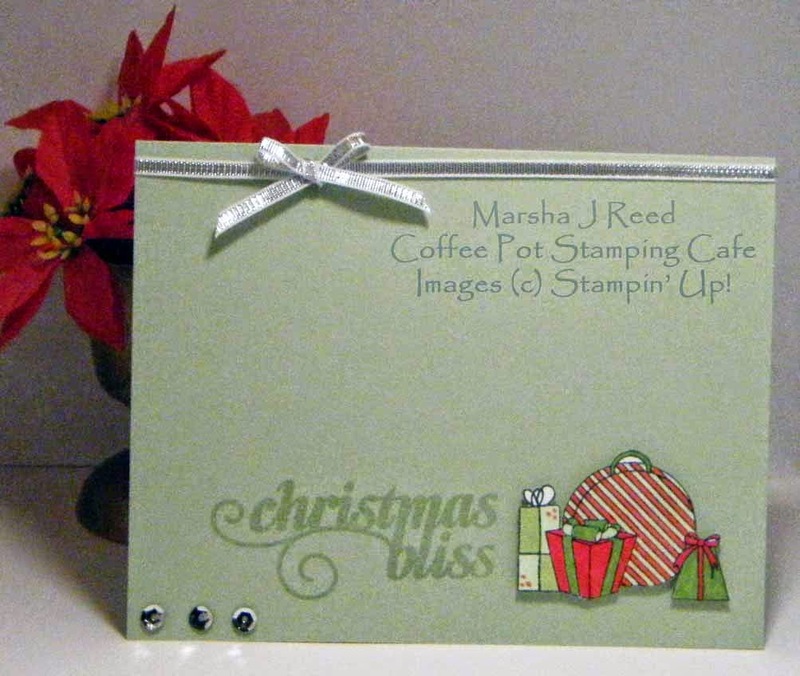 For the challenge details and to show us how you were inspired, visit Christmas Card Challenges.